Barry tries to keep up with several blogs, in addition to the one you’re visiting right now. This is my e-Learning blog. 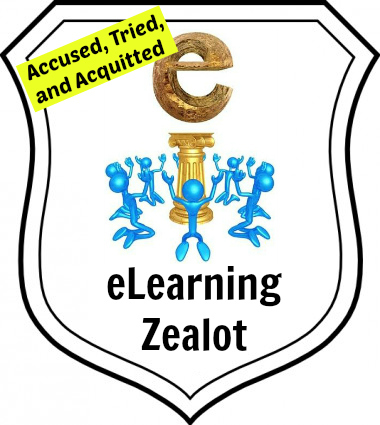 Posts at this site are all about online learning, e-services, Desire2Learn, and the uses of other virtual learning environments (VLE) in higher ed. This site is not a traditional blog. Instead it is more of a content repository. I use this site in many of the workshops, presentations, and webinars that I provide about using Web 2.0 in education. Although it uses blog software, this site is mainly an easy-to-update website that contains links to many of the services free web-based tools that I personally use and recommend to others. 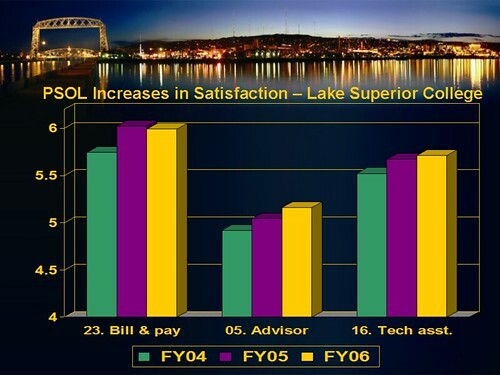 This blog provides information about the results of student surveys at Lake Superior College. This blog is still available, but is no longer kept active. The blog you are currently viewing has replaced Far From a Shining Star (FFSS). It is with a somewhat heavy heart that I have suspended FFSS, since it was my first ever attempt at blogging. I made 333 posts to this blog over about 2.5 years of blogging activity. 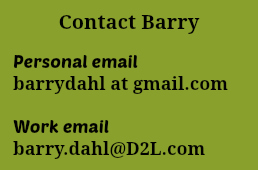 Barry Dahl dot com is now the blog that will carry on the tradition (mine anyway) started at FFSS with posts related to all things technological in education. I have to write a report that compares the current and future impact of the variety of educational tools on college learning. Too broad a topic, I know, but my requirement, nonetheless. References to surveys would be ideal, and provide a necessary bit of objectiveness to my report. I’m overwhelmed by this project. Two weeks of fretting about it have left me nowhere. I appeal to your expertise. How would you approach this project? To make things worse, my audience spans the spectrum, from techno illiterate to expert. P.S. Your talk at NMC was tremendous.